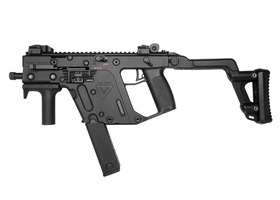 The KWA KRISS Vector is an airsoft gun which runs on "green gas" and has a bit kick to it. The bolt ratchets back. Not a heavy amount of blowback like you'd expect with a real AR15 variant but a bit that might be enough to make it look good on camera. Unfortunately it doesn't actually exist as of yet. They're still on "preorder". So uh, yeah. Here's a post on Microsoft's hiring practices. From everything I've read about it, Microsoft is much much better at hiring than other people (especially Silicon Valley people) are.